I think making your own salad dressings is the best! You can make them taste exactly how you want and they're so easy to make. I had never really pictured myself making my own vinaigrette, but this was one I couldn't pass up. It's another recipe from ourbestbites.com and it tastes great, especially with fruit on your salad. It's very light and doesn't attack you with a vinegar taste. Oh and I got this bottle at Wal-Mart. 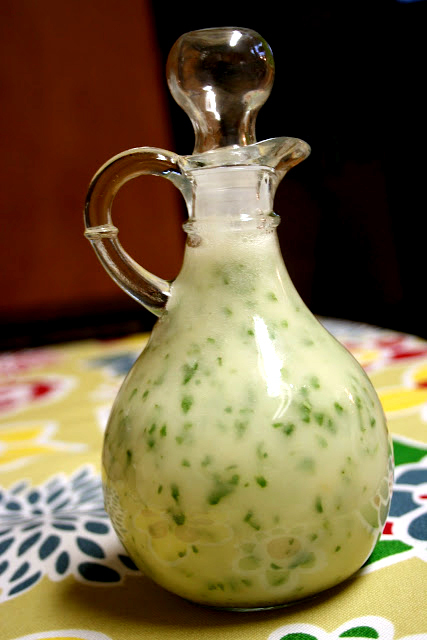 So fun for dressings and sauces. i do love the bottle!